Scientists have revealed that eating chocolate in reasonable amount – makes one feel emotionally better. 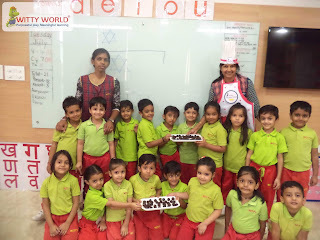 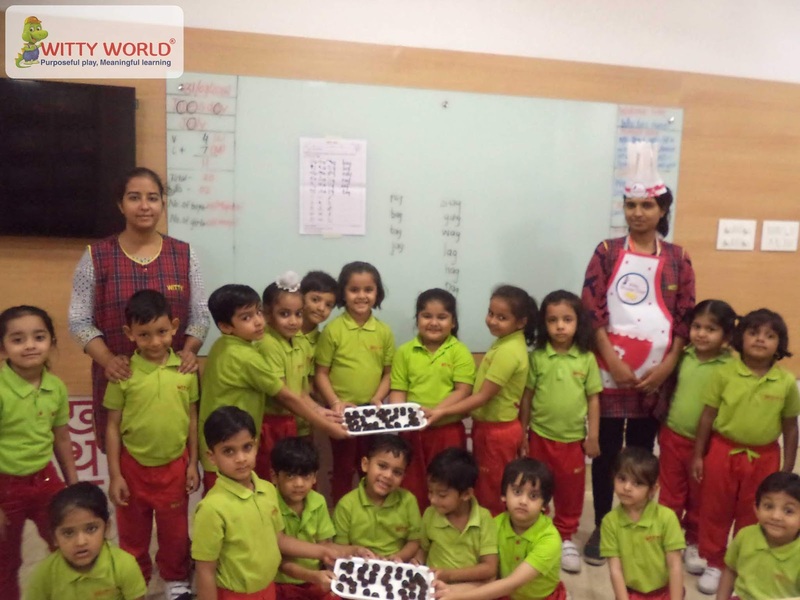 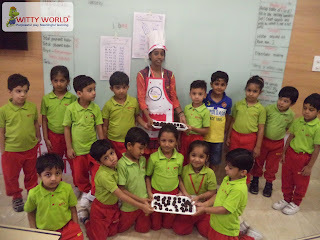 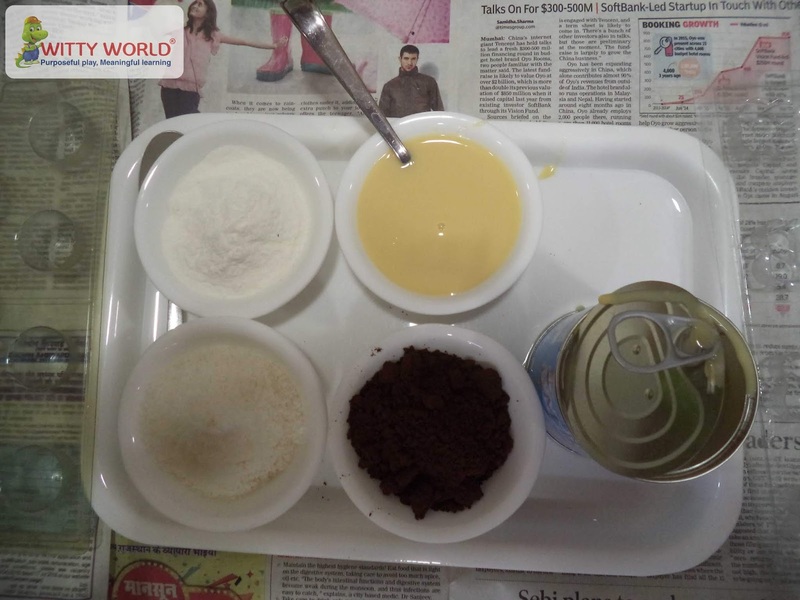 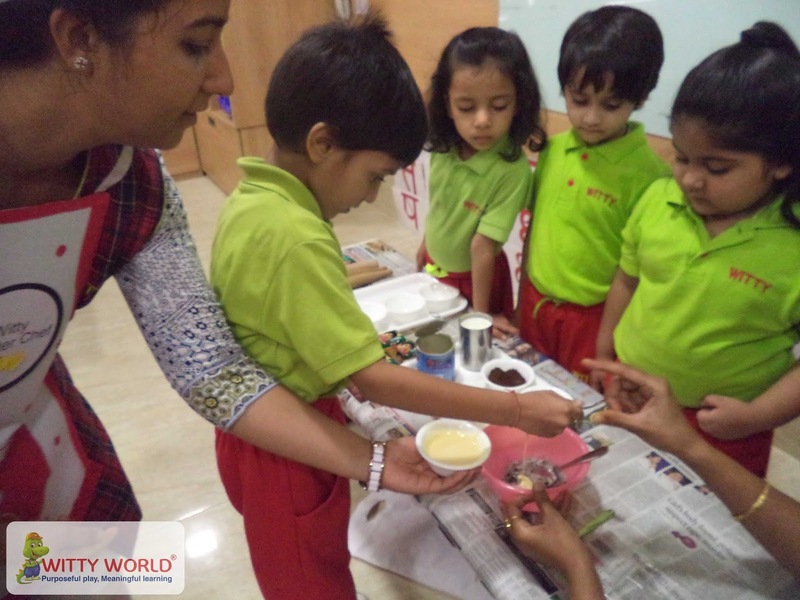 Kids of Senior KG of Witty World Bhilwara got an exposure to learn making chocolate by their own and relishing it. They loved eating the chocolates made up with coco powder, milk maid, coconut powder and milk powder. 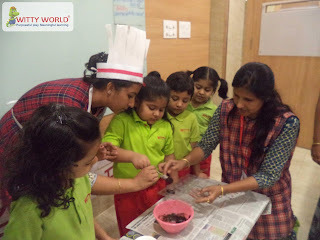 The learning was fun for the kids when they made small chocolates balls from the mixture. 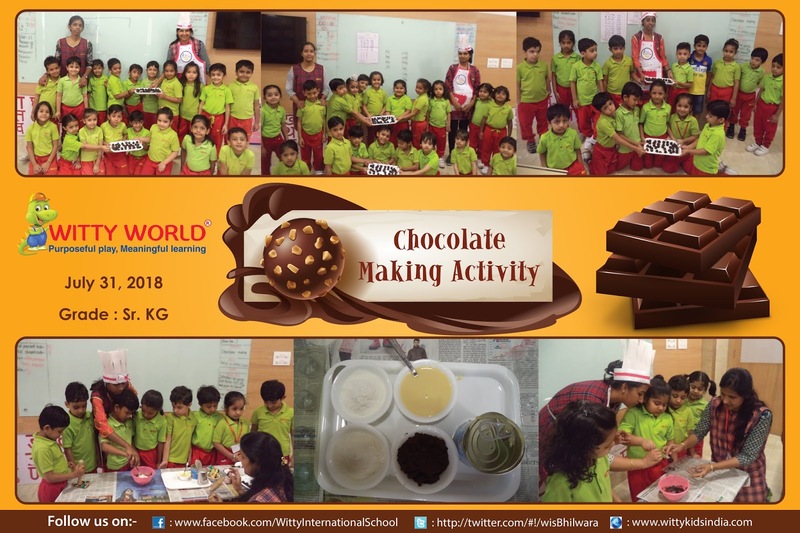 The activity was held on July 31’ 2018, Tuesday. 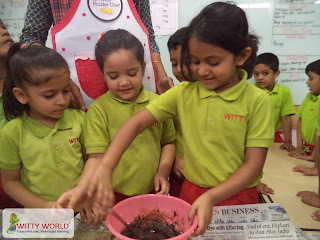 The day was full of excitement and fun for the Wittians.